The $54 bln bid puts an extra $12 bln onto the value of its rival’s equity. Cigna is playing hard to get for good reason, though. The possibility of other suitors gives its defense validity. Cost savings and the implied return on investment also suggest Anthem has wiggle room. 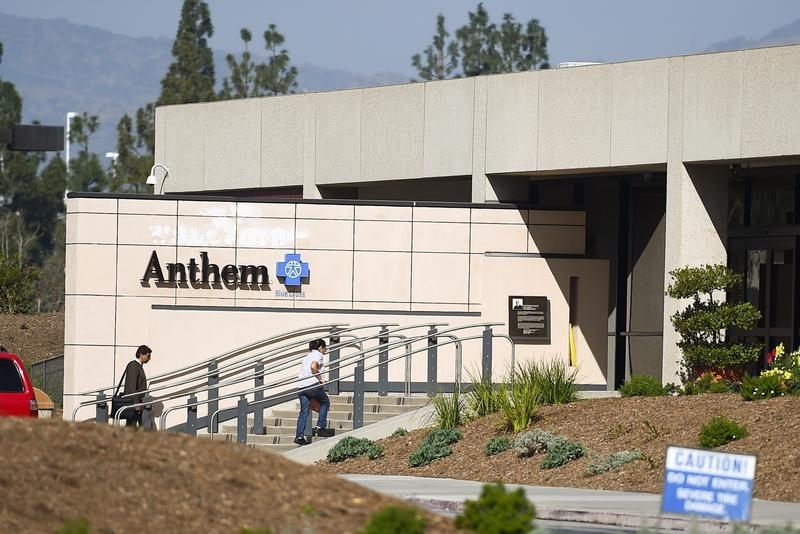 People enter the office building of health insurer Anthem in Los Angeles, California February 5, 2015. U.S. health insurer Cigna on June 21 rebuffed a $54 billion merger proposal from rival Anthem, saying it was “deeply disappointed” with its suitor’s actions, and that the offer was inadequate. Anthem is offering 31.4 percent stock and 68.6 cash, valued at $184 a share. The offer would give Cigna shareholders 23.7 percent of the combined company. Anthem is also offering its target three board seats out of a planned 13 in the combined company.